Modern sports cars or high-powered top models of the upper class are more and more equipped factory with expensive ceramic brake systems. Until now, worn or damaged rotors had to be replaced with expensive OEM parts. The replacing of one ceramic brake disc often costs 5.000,00 € or more. With REBRAKE, the refurbishment service for used ceramic brake discs of FOXX Automotive, worn or damaged ceramic brake discs are brought back into the new state, regardless of diameter, manufacturer or age of the rotors. 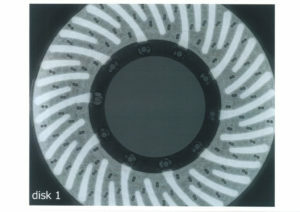 In General, just the friction surface of the brakedisc is destroyed (1-1,5 mm) but the core (90% of the volume) is untouched. We are removing the destroyed layer and add new layers with surface. 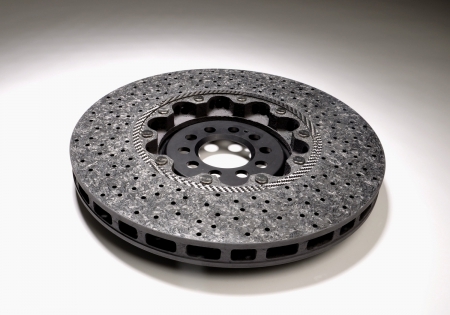 Such repaired ceramic brake discs are equal in their properties to completely new ceramic discs, even superior in part because of the higher degree of hardness of the surface. Click here for the exact process description. To offer you the best possible quality, we test refurbished rotors on the track and expose them to stress they would never experience on the public road. Only if the material passes this test, we see them fit to be sold to the customer. It is not possible to simulate the stress, that a 620hp Porsche GT2 RS racing around the Nordschleife, would put on the rotors. We have track tested our refurbished rotors and fully put our trust into them, like so many of our customers who frequently use their cars on the track. Now we offering our resurfacing service for 3 years. especially returning customers and workshops around the world are giving us the confirmation to be on the right way. sure, we had problems during the first time with delivery times, but now, with production in our own hands, we grant max. 30 days lead time. No matter if Porsche GT3 or Ferrari 430 Scuderia or something else – You can put your trust into our products. It often happens that especially in older discs occur at the bolt holes or cracks that the fasteners will corrode and tear. Such damages are bad from the outside, or not detectable, since this requires the pot should be removed from the brake disc. We strongly recommend at critical wear vehicles or vehicles whose PCCB`s are over 8 years old, with little mileage on the ceramic brake discs, to think of a renewal. For your safety! Each disc is dismounted from us at the beginning of the process, x-rayed and cleaned. Only flawless discs can be refurbished. As our customer, you have the guarantee that your discs, which will be returned by us, are 100% fine. Of course, we also use new fasteners for assembly of the pot.